I just met Carol on her wedding day. No trial makeup since she worked overseas. 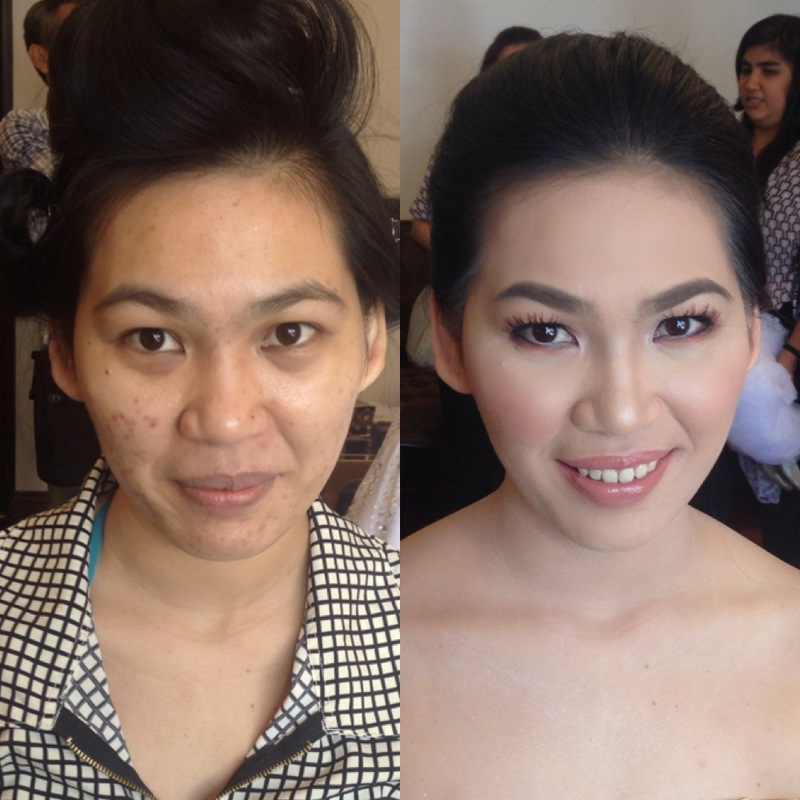 Sharing with you her before and after photo using high-definition airbrush makeup technique.